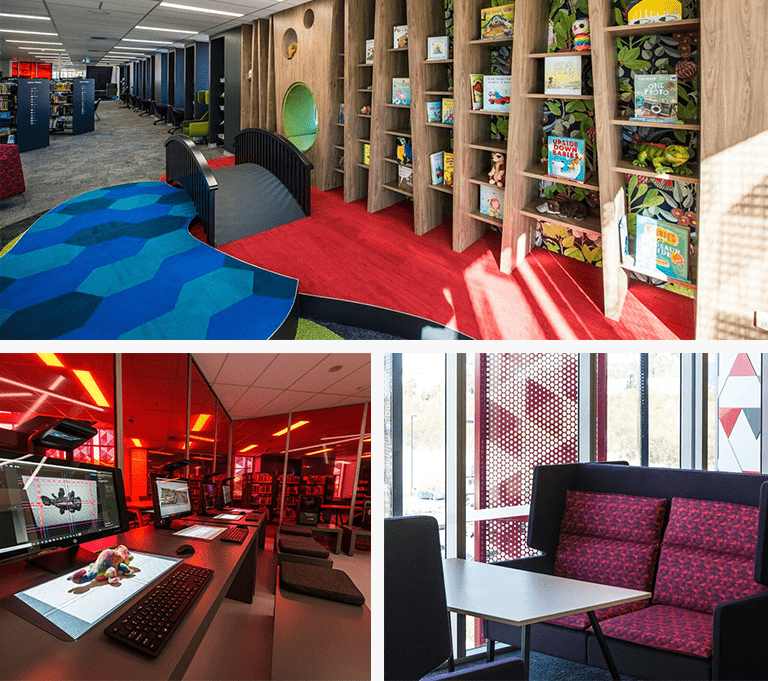 The Springfield Central Library, located within the Orion Springfield Central shopping precinct, is the newest branch of Ipswich Libraries providing a bright, fresh space where members can learn, enjoy and relax. It features a STEAM-powered Maker Space with a Virtual Reality Room and an Augmented Reality Sandbox providing a hands-on digital experience to delight young and old. The new library also boasts a wide range of resources including adult and children’s books, magazines, newspapers, DVDs, CDs and audio books, plus The Market Place where members can explore hand-curated collections to find just the right book. Story Time for toddlers, Baby Rhyme Time and Adult Author Presentations are just some of the programs available for all ages. There are community meeting rooms for large and small events, plus 20 Internet/Microsoft Office workstations available for booking. There are Smart lockers for collection of reserved items after library opening hours, and a bus terminal and Springfield Railway Station located nearby.